Catlab has a High Analytical Capacity due to its extensive level of process automation, in both the analytical and extraanalytical areas. Currently, more than 3,500 requests and 10,000 tubes are processed daily. they are accredited by the UNE-EN ISO 15189:2013, more than 1200 magnitudes from different areas of the laboratory. 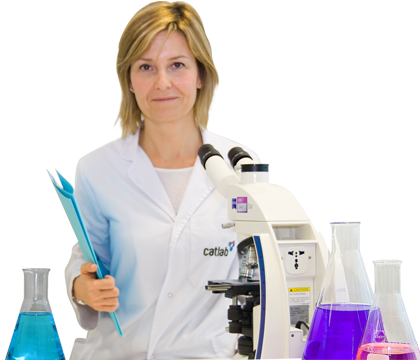 The scientific staff of Catlab, as experts in the planning and evaluation of the diagnostic tests in their areas of specialization, participate actively in clinical commissions and scientific committees.